How much is Stuart Varney Worth? 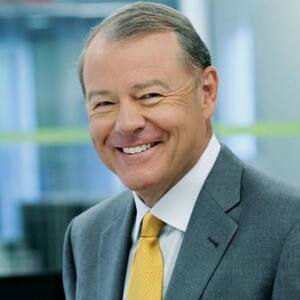 Stuart Varney Net Worth: Stuart Varney is a British economic journalist who has a net worth of $10 million dollars. Stuart Varney was born July 7, 1949 in Derbyshire, England. He currently works for the Fox News Channel (as of 2011) and the Fox Business Network. Varney joined Fox News in January 2004 as a business contributor on many shows such as Your World with Neil Cavuto. He also occasionally serves as guest host for Your World and the shows on the Cost of Freedom business block. Since joining FNC's business team, Varney has contributed to other network weekday and weekend business programming including Bulls & Bears, Cavuto on Business and Cashin' In. Prior to joining FNC, Varney most recently served as the host of CNBC's Wall Street Journal Editorial Board with Stuart Varney. Prior to that, he was co-anchor of CNN's Moneyline News Hour. Varney helped launch CNN's business news team in 1980 and hosted many of their financial programs including Your Money, Business Day and Business Asia. His reporting and analysis of the stock market crash of 1987 helped earn CNN a Peabody Award for excellence in journalism. A graduate of the London School of Economics, Varney began his broadcast journalism career as a business anchor for KEMO-TV in San Francisco. Recently, on the controversial side of things, in 2013 Varney stirred the pot with his commentary on Pope Francis, who had criticized the wealth gap and denounced unfettered capitalism as a system which "rules rather than serves." Varney stated, "I go to church to save my soul. It's got nothing to do with my vote. Pope Francis has linked the two. He has offered direct criticism of a specific political system. He has characterized negatively that system. I think he wants to influence my politics."